Historian and bestselling author Lucy Worsley brings her compelling storytelling powers to bear on one of the most famous stories in British history, imagined through the eyes of a princess who would one day become queen. 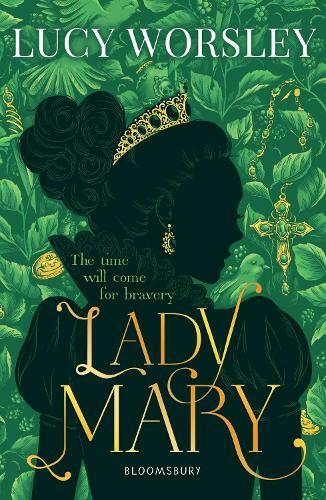 By turns thrilling, dramatic and touching, Lady Mary is the story of Henry the Eighth and Catherine of Aragon's divorce as you've never heard it before - from the eyes of their daughter, Princess Mary. More than anything Mary just wants her family to stay together; for her mother and her father - and for her - to all be in the same place at once. But when her father announces that his marriage to her mother was void and by turns that Mary doesn't really count as his child, she realises things will never be as she hoped. And things only get worse when her father marries again. Separated from her mother and forced to work as a servant for her new sister, Mary must dig deep to find the strength to stand up against those who wish to bring her down. Despite what anyone says, she will always be a princess. She has the blood of a princess and she is ready to fight for what is rightfully hers.